What I first posted in the thread should work. Let me know if it worked for you or if you end up in the same position ChaosSora did. I'm having the problem with KMST client. Can you give the the download link for it maybe ? Ohhhh. I didn't catch that in the image. 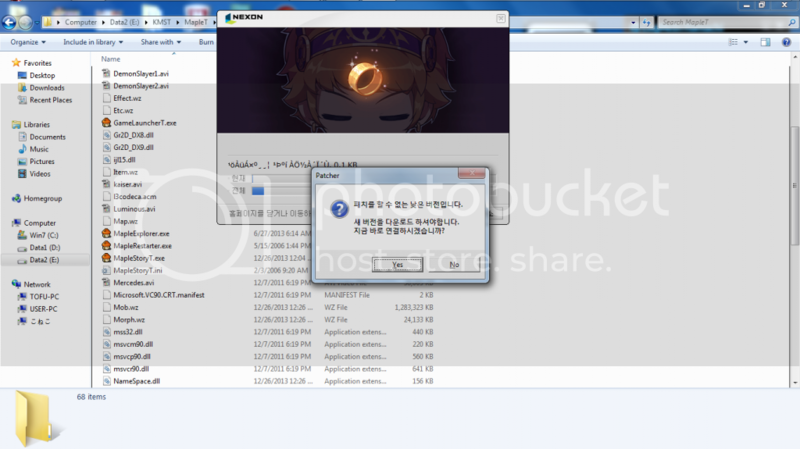 I've never played KMST so I can't give the link for download. What happens when you click yes to the message? That should take you to the download page. Yea.... that comes with another problem. I can't load the website either KMST or KMS. I tried every browser and non of them worked. After searching around the forums for a little bit I found the links. They're almost the same as the KMS links except they're named mapleT.